GMO fund manager Jeremy Grantham thinks investors can pick up a quick 15% return in a final market expansion before an expected crash. GMO hedge fund manager Jeremy Grantham. Widely followed hedge fund manager Jeremy Grantham thinks investors can pick up something like a quick 15% return on their money in a final market expansion before an expected crash. 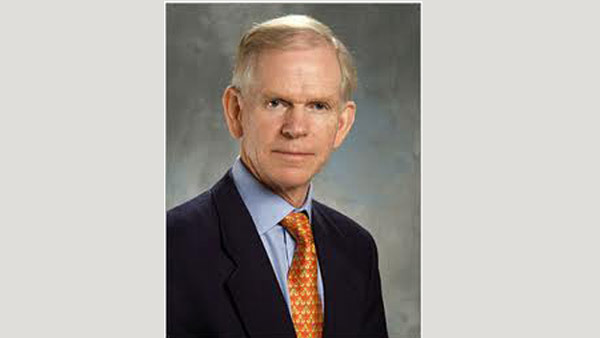 The usually grim Grantham, known especially for his eco-pessimism but also for successfully dodging market crashes, was unusually sanguine his firm Grantham Mayo van Otterloo’s [GMO] latest shareholder letter as a result of the potential for easy profit that is associated with the third year in the presidential cycle. In the quarterly communique, Grantham calculates a 2.5% monthly return for the seven months starting from Oct. 1 through April 30 (hence, the “third year” actually kicks three months early and ends eight months early). That would result in a greater than 17% return in seven months, though he points out that overpriced markets such as today’s may see just 15%, while underpriced markets could generate 19% return in that short period. The calendrical quirk is borne out in 17 out of 20 actual experiences, though randomized odds would see a mere 1 out of 200 chance of returns like this in 10 million trials, Grantham says. What’s more, of the three out of 20 historical experiences that were not positive, the worst market performance was a loss of just 6.4%. Grantham says the balance of the presidential third year is historically still positive, though at a less impressive 0.75% monthly rate, whereas the subsequent 36 months generates a trifling 0.2% monthly return. In other words, if the current seven-month window follows the historical pattern, investors can quickly make more than 10 times their return during the three years that follow the presidential third year. Grantham does, however, acknowledge the appearance of “more negatives than normal” at this particular third-year juncture —“though many of the previous 20 occurrences may well have seemed that way to investors at the time,” he adds parenthetically. Today’s negatives include the ending the Fed’s bond purchase program; talk of a rate increase early next year; the escalation potential of various world conflicts; and the Ebola outbreak. While it is unknown if the current 21st cycle of presidential third years will follow the pattern or succumb to negatives — and Grantham endorses the oft expressed technical analysis of John Hussman who regularly lays out those negatives — the hedge fund manager is seeking to cash in on the bubble’s final inflation, disclosing that his own private foundation is using “out-of-the-money calls” in his risk-on portfolio tilt. “I am still a believer that the Fed will engineer a fully-fledged bubble (S&P 500 over 2,250) before a very serious decline,” he writes. More specific portfolio advice he does not provide, noting merely “various equity strategies,” “various alternative strategies,” “various bond strategies” and “various cash strategies” for each of those allocation categories. His reticence may stem in part from his perception that there is “nowhere to hide and no very good investments” today compared even to the period around the market crash of 2000. At that time, and despite his plug for value stocks, the hedge fund manager hopes to mostly be out of stocks — at a level of “20% or less” of his portfolio.